Central banks are running out of steam as their measures to bring calm back to markets are no longer as effective as they once were. Germany too seems unable to keep up. Like a marathon runner caught in a sprint, their reluctance to move forward stands in stark contrast to market moves focused on the end game. But the road isn’t clear. Europe has three remaining hurdles in their race to recovery: funds, fiscal unity and reform. With Greece approaching the final whistle, doubts over its ability to stay within Europe are growing louder. The worry is investors are watching the referee not the striker, more focused on the search for safety than the rising risk elsewhere in the markets. False starts continue to drive market volatility and while investors ask whether it’s time to back the ‘underdog’, European stocks may provide diamonds in rough, but things could get rougher. The vital relationship between central banks implementing stimulus and Spanish yields falling has broken down since April of this year. No longer is central bank action able to reassure the market and instead Spain and Italy’s borrowing costs remain at elevated levels. Investors are demanding more. Structural change is needed but markets are concerned that leaders could choke under the pressure. Germany wants to progress towards greater unity at its own pace but the markets move faster. Indeed a backbencher delivered his dissatisfaction with the European Central Bank’s plans to their Constitutional Court! It will be tackled in September but investors and the economy won’t wait. Weak consumer confidence and rating agency scepticism highlight the urgency for action. The three key obstacles to be tackled to progress towards stability are: enough funds to contain the crisis; fiscal consolidation (share budgets in order to share debt burdens and be able to offer ‘eurobonds’); and finally structural reform to regain competitiveness & growth. All are vital for the future of the region and this realisation is starting to build within the markets. Europe did manage to overcome their concern that a Fed-Style straight bond buying programme would reduce the pressure on countries to reform, with a Memorandum of Understanding putting these measures on paper. The use of ‘MOU’s in order to accept ‘IOU’s to lend to countries within Europe may be a step forward, but this remains only part of the full picture needed for longer-lasting results. S&P ratings agency has questioned whether Greece will be able to secure the next tranche of bailout funds as it downgraded the outlook for its credit rating to negative. Without such funding, the ‘death knell’ for Greece’s euro membership will be sounded. With the IMFsignalling payments to Greece will stop, the lack of funding fuels fears that without drastic action, the end could be near. Even beyond Greece, the Italian Prime Minister dared to publicise the possibility of a Eurozone breakup if borrowing costs did not fall. The rush to safety has been overshadowing rising risks. As investors pile in to perceived ‘safe haven’ assets, the yield on German government bonds has been falling. However, in a different market, the cost of insuring these bonds has risen as these investors see risk on the rise. The snapback in bond markets to better reflect this sentiment could shake the equity market as well and is therefore a significant concern. Markets have rallied in the face of disappointing data. Eurozone stocks reached a 4 monthhigh as manufacturing dropped to a 3 year low suggesting the slump is extending into Q3. This discrepancy has driven market volatility, exacerbated by the low volume of shares traded over the summer months. Greater clarity is required to see a more sustained upward momentum which will have to wait until leaders are back from their hols! Investments: When to Back the Underdog? European stocks may provide diamonds in rough, but things could get rougher. The overweight US / underweight EU trade is starting to look stretched, as the divergence in performance between the two regions continues to increase. This has been quite understandable, but there will come a time when this is overdone. Within Europe, there are international companies, with geographically diversified revenue streams so not dependent solely on domestic demand for their products or services. Furthermore, with effective management teams and strong fiscal positions, some may be starting to look cheap. However, cheap could get cheaper. Damage to sentiment could lead to market punishment regardless of fundamentals. Therefore waiting for decisive developments & clarity on road to recovery may be prudent. THE current financial climate is making it harder to decipher where investors are going to find returns. The rates on holding cash are low, bond yields in general have narrowed substantially and there is much uncertainty on the outlook for the stock market. In addition, with macro risks on our minds and the sovereign debt crisis raising concerns, risk aversion is on the rise. In this environment, investing in something tangible that could provide a potentially uncorrelated return is attractive. Nevertheless, there has been a vast difference in returns from various investments in this market. Therefore, it will pay to be particular. 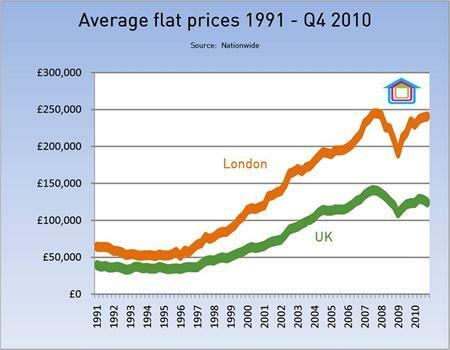 There has been a stark divergence of fortunes between property prices inside and outside of London. Location within or access to the city is a price-setter. Fundamentally, prime assets in attractive sectors should see a level of demand providing a floor on prices. Foreign investors have been quoted as spending £3.7bn per annum for London residences, due to the inviting exchange rate, national ties, as well as in some case the greater political stability that our city can offer. The emergence of an appetite for second homes has created demand in another segment of property investing, where the right location will again be crucial. Students are another opportunity. Regional student housing is the UK’s best performing sector with around a 15 per cent ROI last year thanks to a shortage of suitable one-bed apartments. Broadly speaking, this is a “buy-to-let” approach. Rental rates are at all-time highs and the short-let market is booming. It is predicted that for the Olympics, rates will increase six-fold. Therefore, depending on your strategy, timing may also be crucial. To play the school or student market, the run up to September is a key window of opportunity. The challenge is in finding the investments that fit your aspirations, and putting your plan into action at the right time. In a desired area, properties can attract multiple buyers, making this task tougher. Nevertheless, with inflation one of the biggest threats to the market currently, implementing the right strategy and picking the right property will help provide some protection. This article was featured in CityAM.